Even after a year in retirement, Yao is still ranking high on Forbes’ (China) annual Top 100 celebrity list. The list is compiled by looking at several variables, like earnings and buzz (in newspapers, Internet, TV and magazines). Yao ranked #8 overall, and #9 in earnings. 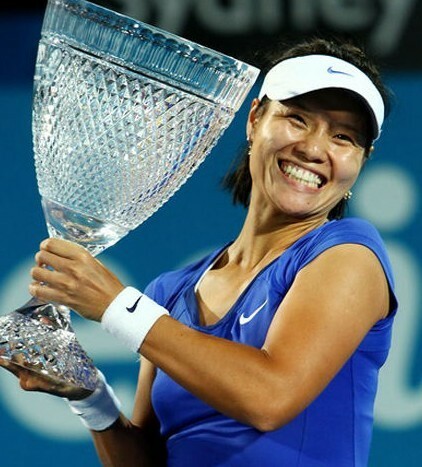 Li Na is ranked as the top athlete, helped by her winning the 2011 French Open. 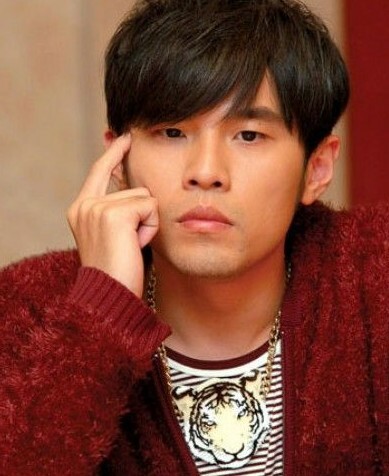 Jay Chou ranked as the #1 celebrity overall. Click here for a list and photos of the Top 10. After Thursday’s Game 6 victory for the Rockets forcing a Game 7 in Dallas, I thought I was fortunate enough to get a ticket to Saturday’s game in Dallas. I knew there was a big risk of being disappointed if the Rockets lost, but I thought it was worth the drive to Dallas to perhaps witness history. Yao throws one down in Dallas on his way to scoring 33 points, but other than T-Mac, none of the other Rockets showed up. Dallas ended Houston’s season with a Game 7 victory, winning 116-76. Click here for more photos from the game. I sure witnessed history, alright. The worst Game 7 loss in NBA playoff history. A picture is worth a thousand words. See below. Click here for more photos from the game. MONDAY, 5/02/05 – UNDER PROTEST OF THE IDIOTIC REFS WHO ROBBED THE ROCKETS FROM A CHANCE TO TIE THE GAME DOWN THE STRETCH IN GAME 5, I DOUBT I CAN GATHER MY COMPOSURE TO DO A GAME SUMMARY. THIS IS A FIRST IN YAOMINGFANCLUB.COM HISTORY. HOW CAN I COVER A GAME THAT IS OFFICIATED BY BUFFOONS? FOR THOSE OF YOU WHO SAW THE GAME, YOU KNOW WHAT I AM TALKING ABOUT. HOW CAN A GUY STEAL THE BALL WITH 2 FEET OUT OF BOUNDS? IF YOU DON’T KNOW WHAT I’M TALKING ABOUT, YOU’LL SEE IT ON ESPN. THAT’S JUST ONE EXAMPLE OF THE INCOMPETENCE DISPLAYED BY THE OFFICIALS. AMATEURS. IMBECILES. Dallas’ Jason Terry elevates over Yao for a big bucket Saturday as no one could stop the Dallas guard on his way to 32 points. The Rockets led by six points in the fourth quarter, but lost the lead once again and the game, 97-93. Yao scored 20 points, blocked 5 shots and grabbed 5 rebounds. The Houston-Dallas playoff series is now tied at 2-2. Click here for more photos from the game. SATURDAY, 4/30/05 – It’s the day after the Rockets’ gut-wrenching loss to the Mavericks in Game 4, and I’m prepared to file my report after a painful 24 hours. Not only did the Rockets lose to ruin my day, but I realized I left my laptop power cord at home and didn’t have enough battery power to file my report last night. Yesterday was a disaster all the way around. Yao throws one down in the first quarter against Dallas on Thursday night. The Rockets led by eight points in the fourth quarter, but lost the lead and the game 106-102. Yao scored 15 points and grabbed 10 boards. The Rockets hold a 2-1 advantage in ther best-of-7 game playoff series against the Mavericks. Click here for more photos from the game. THURSDAY, 4/28/05 – If you live in the US and you tuned into the beginning of the Rockets – Mavericks game Thursday night, you probably saw that the first quarter wasn’t televised because the Miami – New Jersey game preceding the game went into double-overtime. The OT of that game ended up eating into the TV coverage for the Rockets game. So no one tuning into TNT could see the Rockets. Funny, but if you watched the fourth quarter of the Rockets game, the same thing happened again: no one could find the Rockets. If you didn’t see it, Dallas went on a 20-0 run in the fourth quarter and eventually won 106-102. Yao celebrates after throwing down a dunk near after a beautiful assist from T-Mac near the end of Game 2 of the Rockets-Mavericks series. In the game, Yao played one of his most amazing games, scoring 33 points on 13-of-14 shooting, making all 7 of his free throw attempts, and grabbing 8 rebounds in a stunning 113-111 playoff victory against the Mavericks. The Rockets now lead the series 2-0. Click here for more photos from the game. MONDAY, 4/25/05 – When you think about the most important moments in Yao’s NBA career thus far, you think of that rookie season where he shocked the Lakers and scored 20 points that made Charles Barkley kiss Kenny Smith’s donkey after losing a bet. Or you think of those famous “Shaq vs. Yao” matchups from that rookie year. Or maybe the three-pointer at Golden State. Or the no-look behind-the-head passes to Cuttino Mobley or Moochie Norris. Or maybe that behind-the-back dribble and fast break dunk in Portland a few weeks ago. It’s time to add one more moment to the list. Monday night’s game between Dallas and Houston might go down as the game that gives Yao a reputation as a big-time playoff player we have all looked forward to seeing. Yao led all scorers with 33 points on an astounding 13-of-14 shooting (the one miss he had shouldn’t have been counted as a shot attempt), made 7-of-7 free throws, grabbed 8 rebounds and had two blocks. In the first quarter alone he made 5-of-5 shots and scored 17 points. Dallas’ Erick Dampier takes a swipe at the ball Yao was holding in the first quarter Saturday in the first game of the Rockets-Mavericks playoff series. Dampier was not called for a foul on the play. In the game, the Rockets surprised the Mavericks, winning 98-86. Yao was in foul trouble for most of the game, playing only 20 minutes, scoring 11 points and grabbing 8 boards. T-Mac was the Man, scoring 34 points, dishing 6 assists and grabbing 5 boards after playing 47 minutes. Click here for more photos from the game. SATURDAY, 4/23/05 – At the end of the regular season with Houston winning 7 games in a row, the Rockets were hoping their hot shooting streak and smothering defense would continue into their first round playoff match-up with Dallas on Saturday. It did, and they pulled off a big 98-86 victory in Dallas to stop their 9-game winning streak while also taking a 1-0 series lead. You are currently browsing the archives for the 2005 NBA playoffs category.